A preventative program is a cooperative effort by the patient and dentist to preserve the natural dentition and supporting structures by preventing the onset, progress and recurrence of dental diseases and conditions. 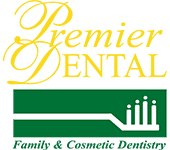 Premier Dental suggests a routine dental cleaning, full exam and x-rays every six months. Prevention helps avoid serious and costly dental problems and is the key to having a healthy, confident and beautiful smile. Premier Dental recommend dental sealants and fluoride supplements for children and adults. 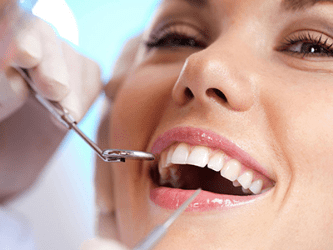 These preventative measures can deter tooth decay. Dental Sealants are clear plastic coatings painted onto back teeth. They act as barriers against the sugars and starches that cause tooth decay. For kids, teens and adults, sealants on hard-to-clean back teeth can greatly reduce the risk of cavities. Sealants will wear off over time and will need to be replaced regularly. Fluoride is a naturally occurring mineral that attracts other minerals to strengthen tooth enamel and deter cavity causing bacteria. Mouth guards not only protect your teeth from harm but they also protect your lips, tongue and cheeks. Under Armour cites an additional advantage of wearing their mouth guards is that it will reduce jaw clenching which is common during intense competition. Clenching releases cortisol which can diminish concentration and endurance. The best mouth guards are custom fitted and are made of soft plastics. Mouth guards should be worn during contact sports like football and hockey or while skateboarding and snowboarding where there is a high risk of impact from a fall or wipeout. Protect your teeth during sports activities and your teeth will thank you. When teeth grinding, bruxism, occurs during our sleep we are often unaware of it. Frequently, you learn of your teeth grinding sessions from a family member or because the grinding has created health problems. Grinding wears on your tooth’s enamel and can make those teeth sensitive to hot and cold foods and liquids. Grinding can also make your jaw sore and may lead to temporomandibular jointdisorder or TMJD. If you have experienced TMJD, you know that is very uncomfortable. Your jaw will click or lock as you open your mouth. If TMJD worsens it may or may not be treatable through surgery. Night Guards protect your teeth as they provide an even and smooth surface for the opposing teeth to rest against reducing movement and eliminating tooth on tooth grinding. Night guards are constructed of acrylic and are created from a dental impression during a visit with our dentist.